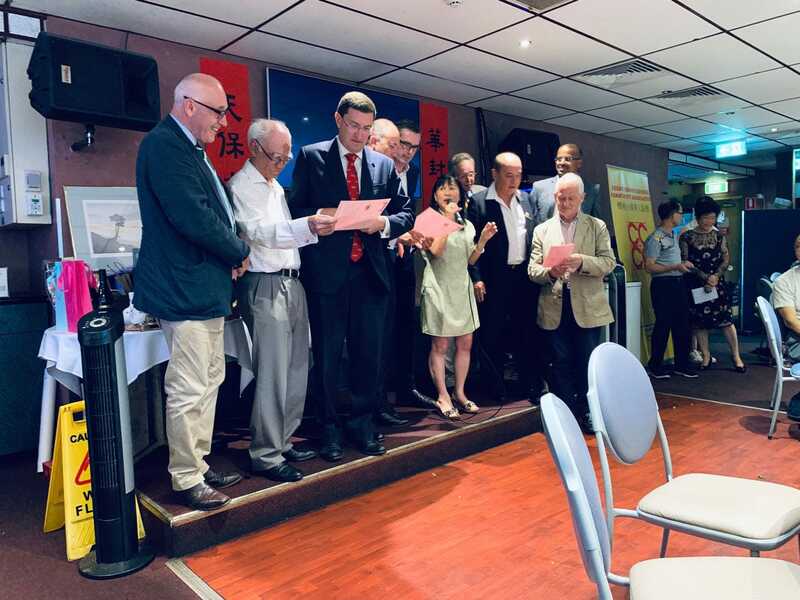 The Lunar New Year Dinner Party was held on Sunday 17th February 2019 at the Castle Terrace Chinese Cuisine, Castle Hill. This year, nearly 120 members and guests attended the dinner party. Julian Leeser, Member of Berowra, Dominic Perrottet, MP, NSW Treasurer, Matt Kean, Minister for Innovation and Better Regulation, Member for Hornsby; Damien Tudehope, Member of Epping and Hon. Philip Ruddock, Mayor of Hornsby Shire who attended the party. The event commenced with the appearance of the God of Fortune who wished every member and guest the best of luck and good fortune throughout the Year of the Pig. Followed the tradition, the God of Fortune, had the honourable duty of giving red packet to each of the members and guests. This was closely followed by the dancing of two energetic lions. Shortly after that, there were English Opera singing and Cantonese Opera singing and line dance as well. The night ended with the raffle ticket prize draws with over 30 prizes donated by members and guests. The party ended at 10pm, everyone went home with their share of good luck and fond memory. Enrollment for our Chinese Language School is now open. 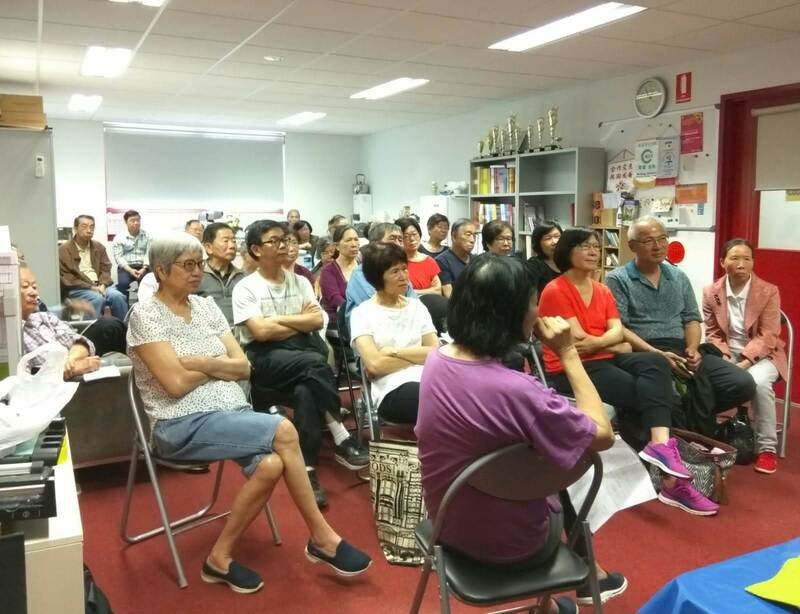 A talk about the New South Wales aged care system was held at the CCCA office on Wednesday 31st October 2018 with 32 attendances. 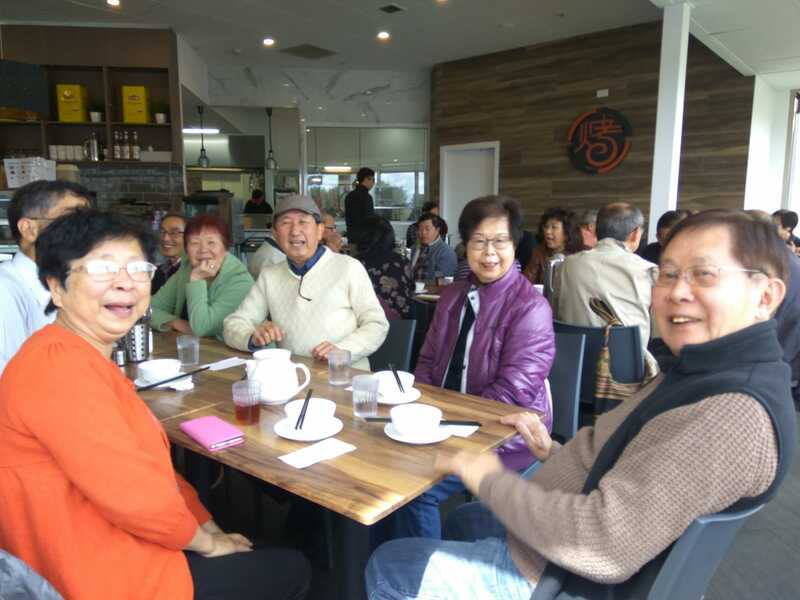 Ms Pauline Lau, a recently retired aged carer, was the speaker of this event who briefed the types of aged care services currently offered by the NSW Government, the eligibility for services was also mentioned. Potential issues of retirement home and means test requirement for staying in aged home was also mentioned. K.L. Chau, Hon Secretary of the CCCA, also shared his experience with the audience about arranging his mother-in-law to stay in an aged home. Those who attended also had the opportunity to raise questions relating to their concerns and were analysed and answered accordingly. 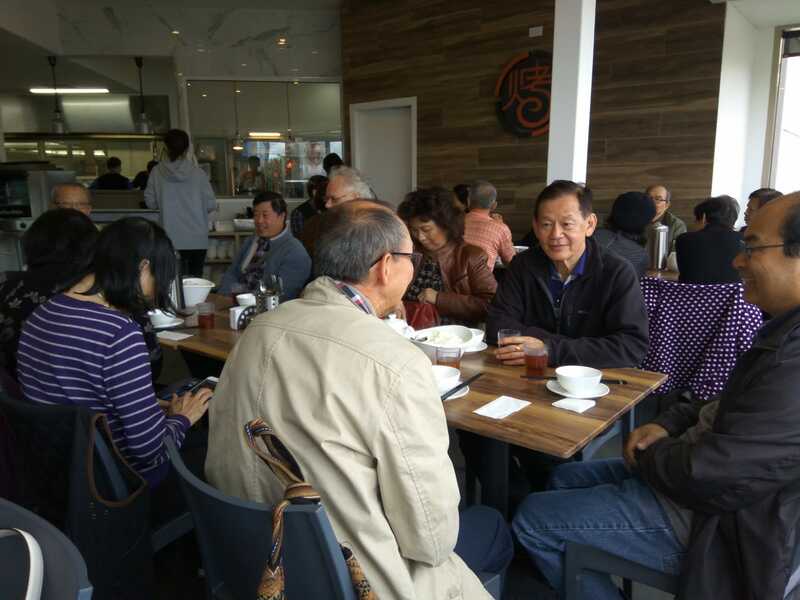 A celebration lunch was held on 26/9/2018 at a Chinese restaurant in Carlingford. The 29th AGM was successfully held on Saturday, 25 August 2018. The following management committee members were elected. Wenbin Fu , a student in the Teenager Class of the Association’s Chinese Language School, participated in the 10th “Lu Xun Youth Literature Awards” overseas essay activity, which was jointly organized by the Shanghai Overseas Exchange Association, Shanghai Lu Xun Cultural Development Center, Shanghai Education Press and Oriental Education Times. More than 1,080 essays from more than 90 overseas Chinese Language educational institutions in 19 countries participated, with the selection of 168 award-winning compositions. Wenbin Fu won the second prize with an article titled “The Link of Love, the Bridge of Father’s Love”, ranking 11th. Please click on the link below to read the original essay (Chinese only). 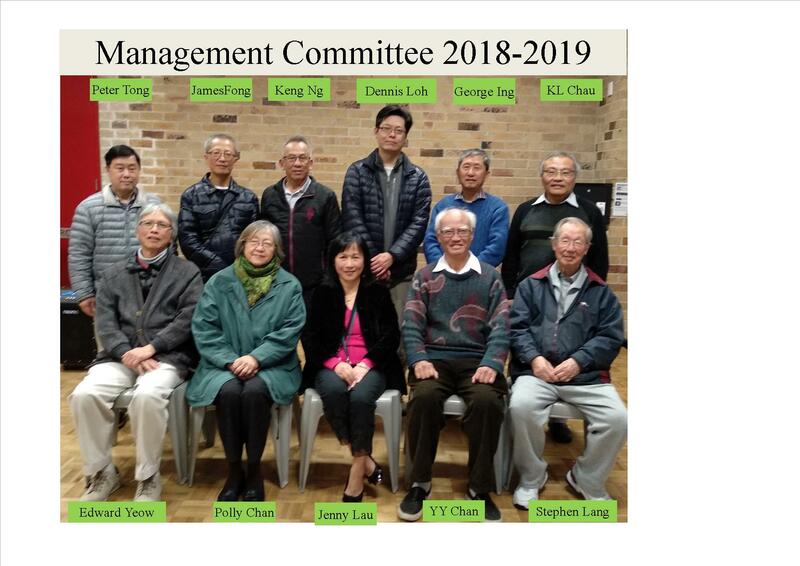 In order to improve the efficiency of managing the Cherrybrook Chinese Community Association Inc., the Management Committee convened on 23 September 2017, have decided that all sub-groups’ (including Seniors Group) activities will now be directly managed, coordinated, organised, facilitated and financed by the Management Committee. This edict will take effect immediately.